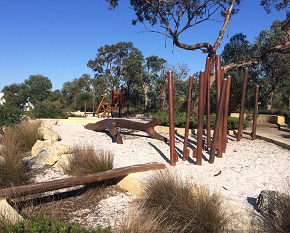 Get back to basics and let the kids enjoy some nature play in Perth! 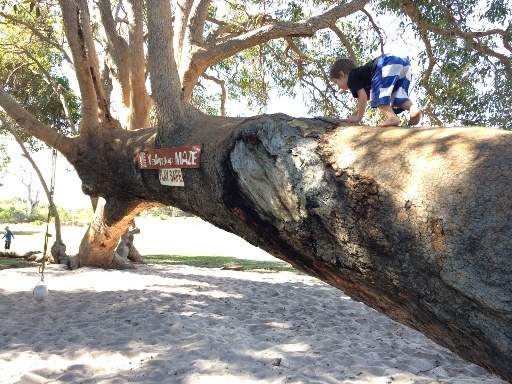 Here you will find out favourite nature, nature based & adventure play experiences in Perth. 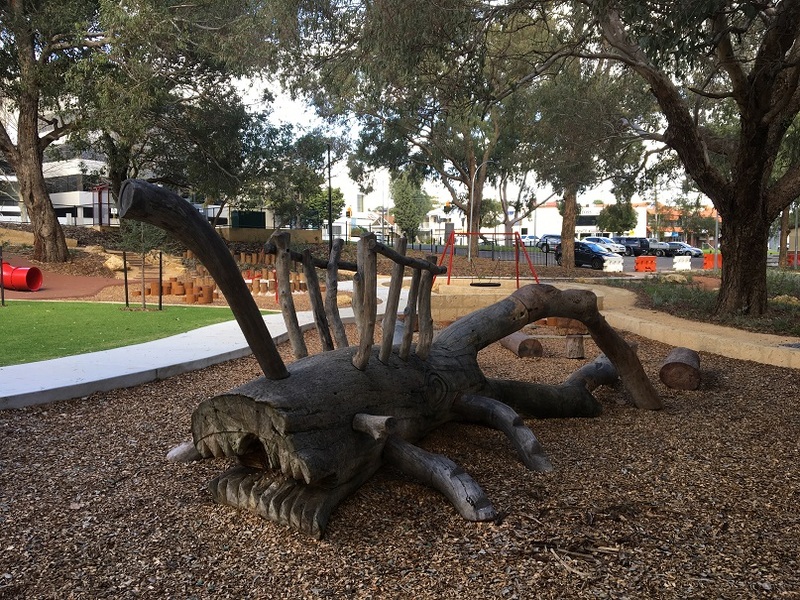 We are fortunate that nature based play is being featured in a lot of our new playgrounds and dedicated nature play spaces are available in our city too! So don't let the rain stop you, pack the jump boots and a change of clothes and give them the funnest day out they have had in ages. PLEASE NOTE: Naturescape reopens with Stage 2 completion December 14th 2017. 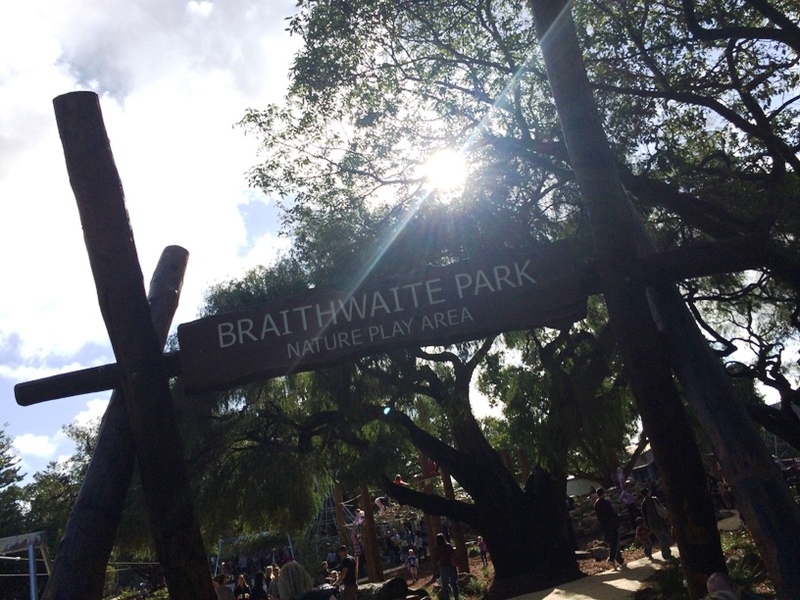 Naturescape is hands down our favourite nature play experience in Perth. 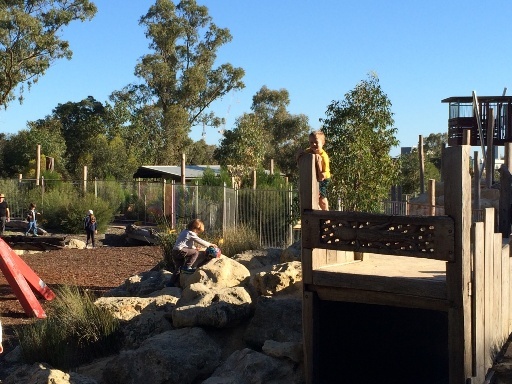 You wont find swings or slides here, but you will find rocks, water, sticks and dirt and an array of flora and fauna. Kids will love wading in the water, making mud pies and potions, climbing to the treetops, climbing rocks, balancing on logs, swinging from ropes and more. Best of all it's FREE! 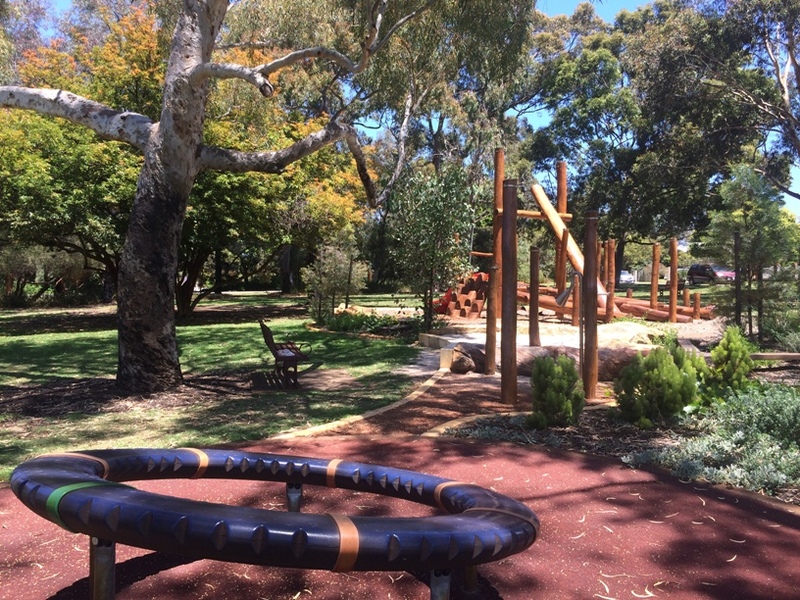 For those in the south that find Kings Park a bit too far, this is the next best thing - or so we are told we haven't visited this play space yet but it's on the list. 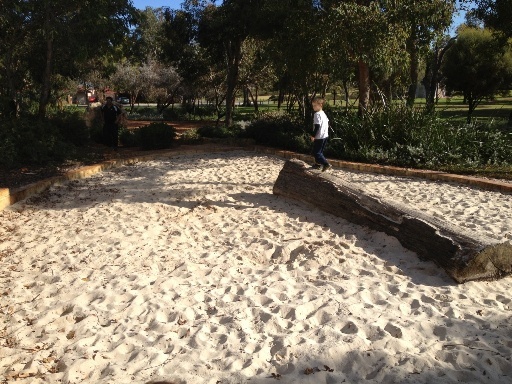 Here kids can walk across the big log over the creek (full of water in winter and dry in summer). 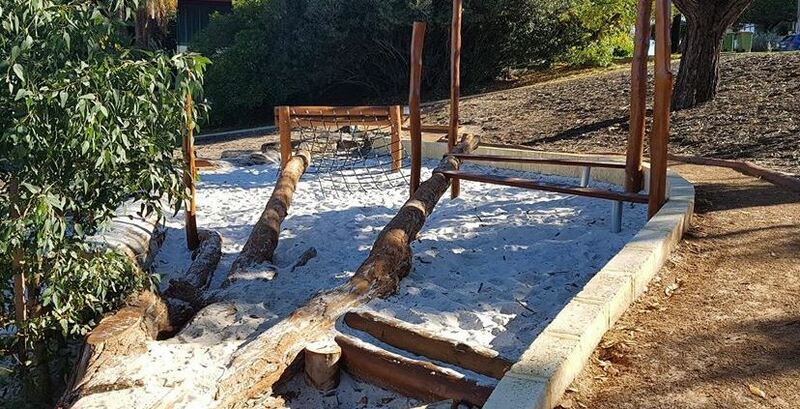 Here there is more nature based play with some traditional play features like swings and slide set in a more natural way. 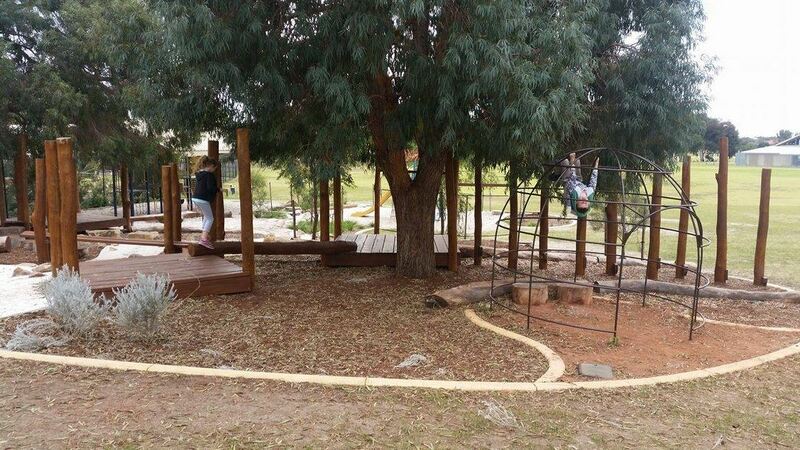 The kids will love this adventure playground with lots of nature play elements. There are lots of hills to climb and tunnels to crawl through and wooden balancing equipment, ropes and logs and water play too. 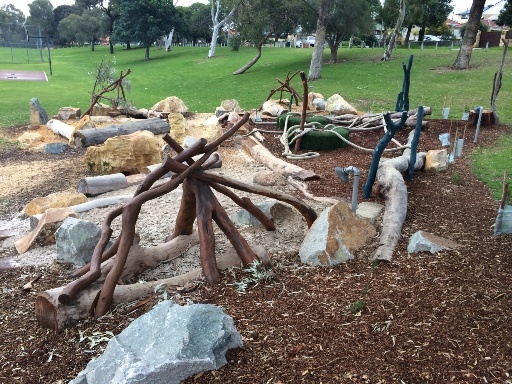 Small nature play area with balancing log and rocks to explore. 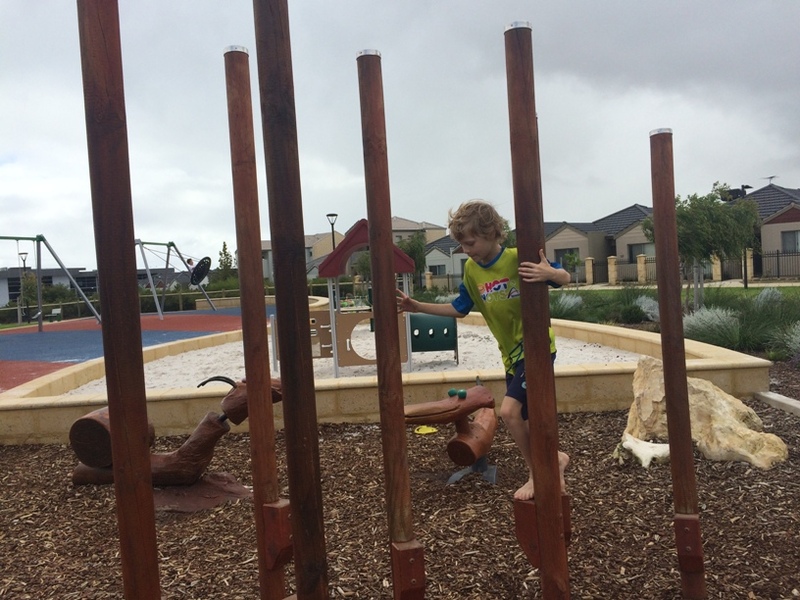 Kids will also love the adventure of the big climbing frame here that gives this park the name "Spiderman" Park. 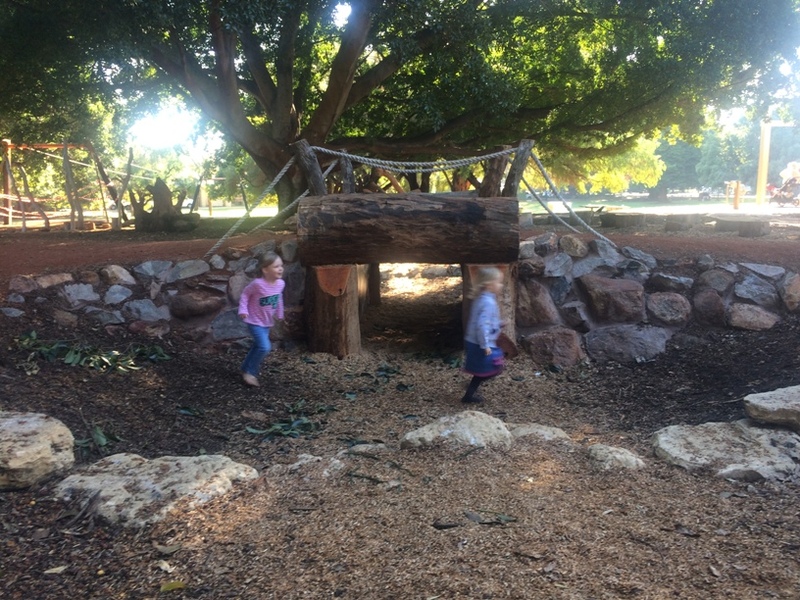 Found on the Subiaco side of Kings Park has a great nature based play area, with logs to balance on, and lots of rock and hill climbing. 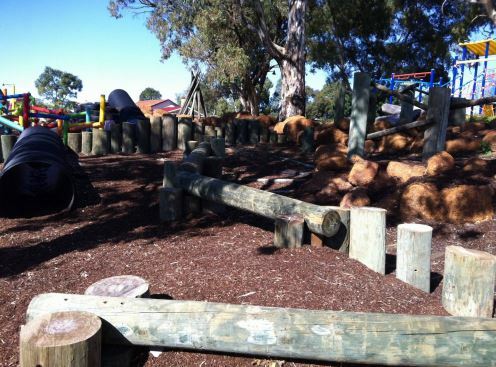 The new section soon to be finished features a cubby house climb, more rock and hill climbing and a wrought iron maze. 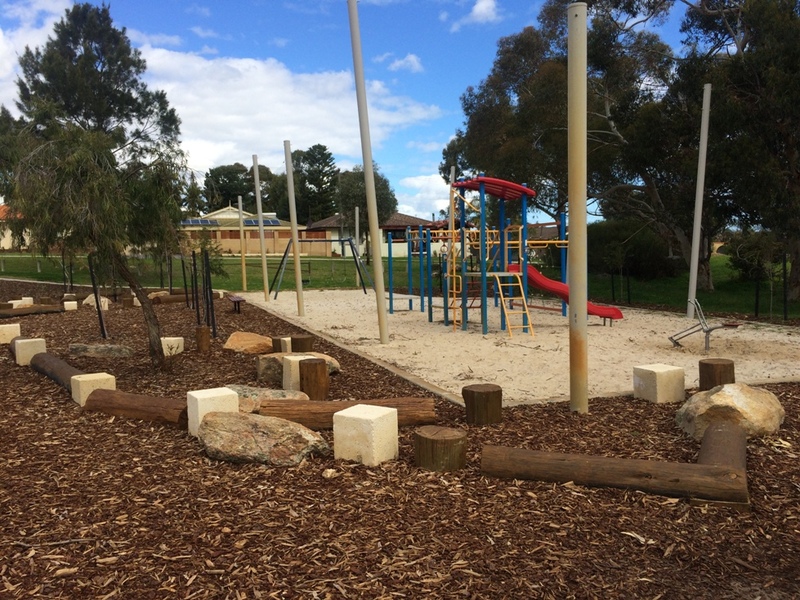 The nature play section features lots of balancing logs - and the whole playground definitely has a nature feel about it, as it has lots of natural shading and lots of characters and features carved from wood. Lots of adventure play for little ones too. 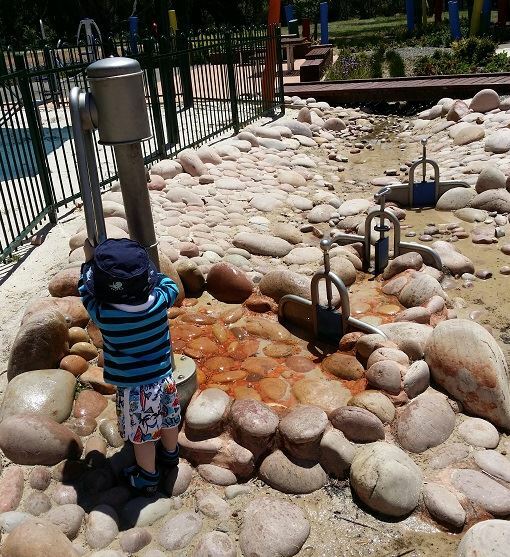 Fantastic adventure playground with a flying fox, water play features, pirate ship playground. Kids will also enjoy climbing the hills by rocks and wooden steps and crawling through the tunnel. 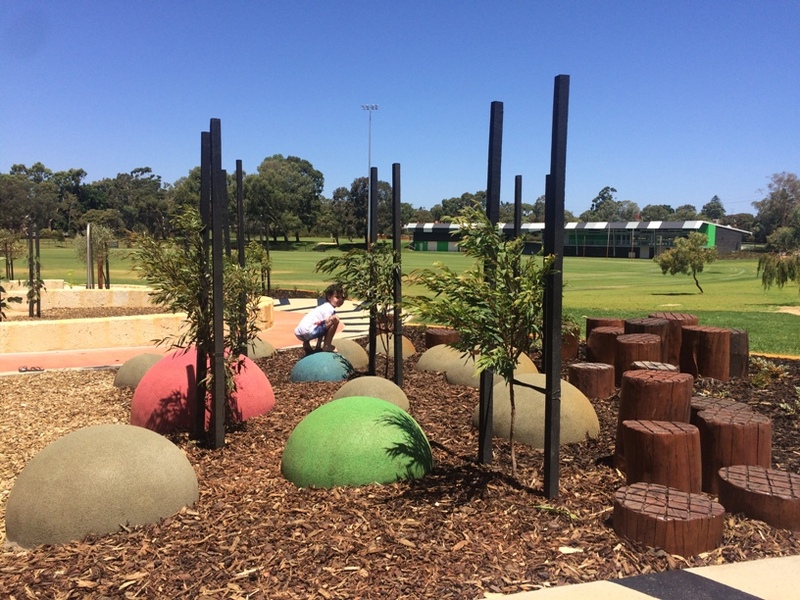 This beautifully shaded little playground is in the middle of the Kingsway Sports Complex and features lots of traditional play as well as dinosaurs, sensory play and nature play. 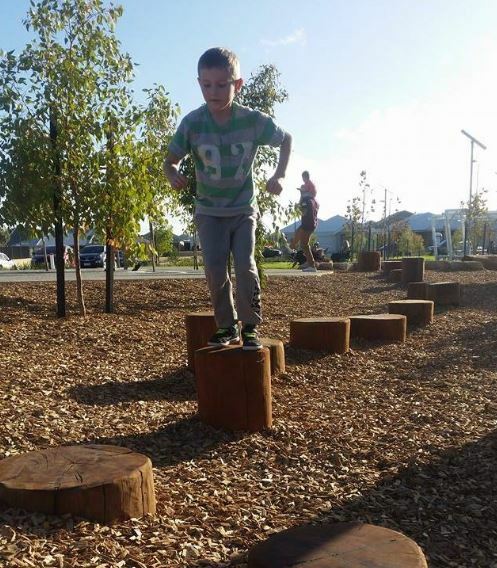 The whole park has a very natural feel about it with lots of vegetation and there is a nature based play section where kids can step from log to log. Just up from the playground is a little lake with lots of ducks to see. Balancing logs as well as traditional play, exercise stations , BBQs, lots of grassed area and picnic shelters here too. 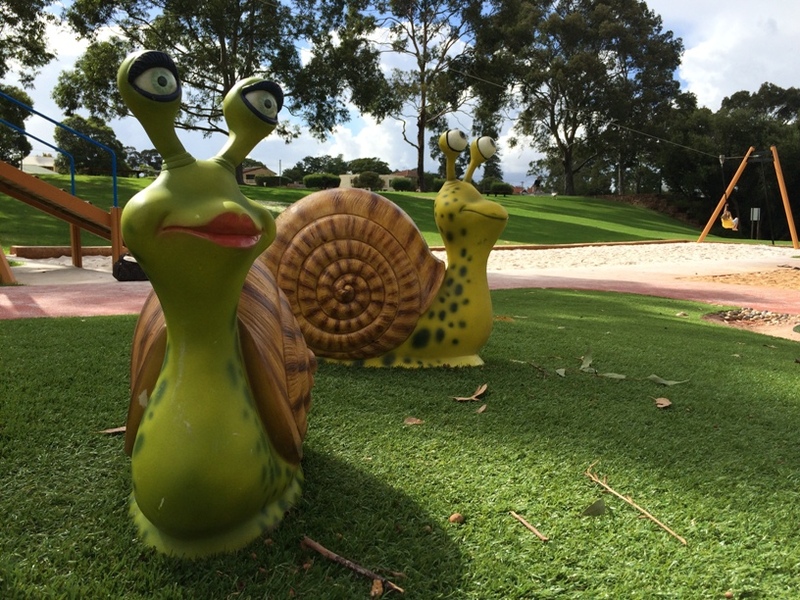 You can find Delamere Park behind the Grand Cinemas & Currambine Shopping Centre. Here you will find a small little nature play area in the corner of this large reserve. There are rocks, branches to make cubby houses, ropes and sand. Nothing fancy but that's what it's all about. 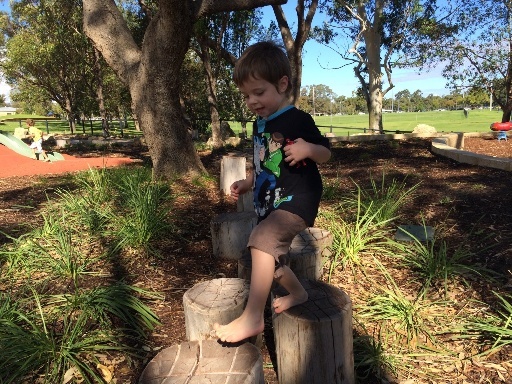 Cute little playground perfect for under 5's with a little nature play section with blocks and logs to balance on. Cranked Cafe right next door. 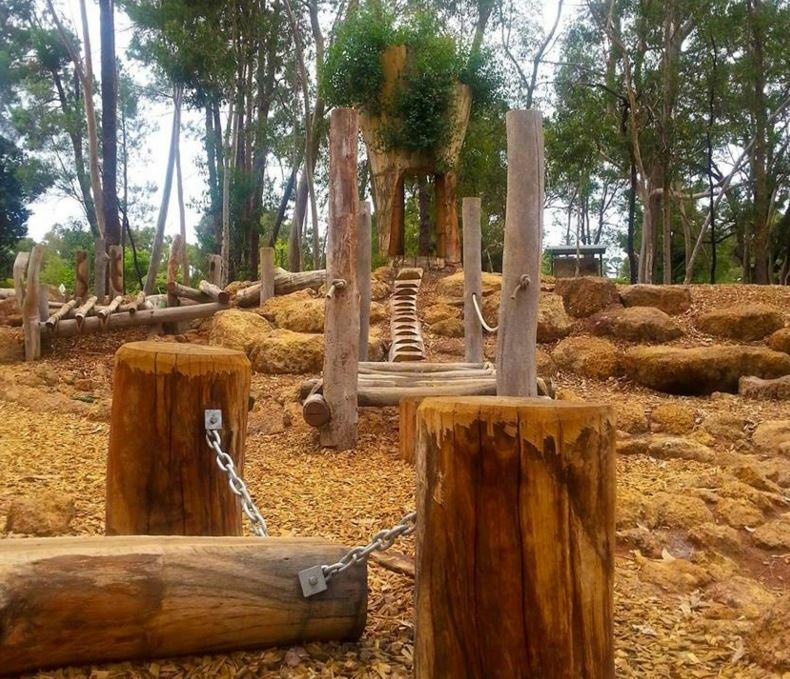 This park features a series of rope challenges but also has a little section where kids can jump from log to log -testing their balance skills. Beautifully set alongside East Lake with great nature shading. This hidden little gem is found in the middle of the Rannoch Tay Earn Reserve Hamersley. 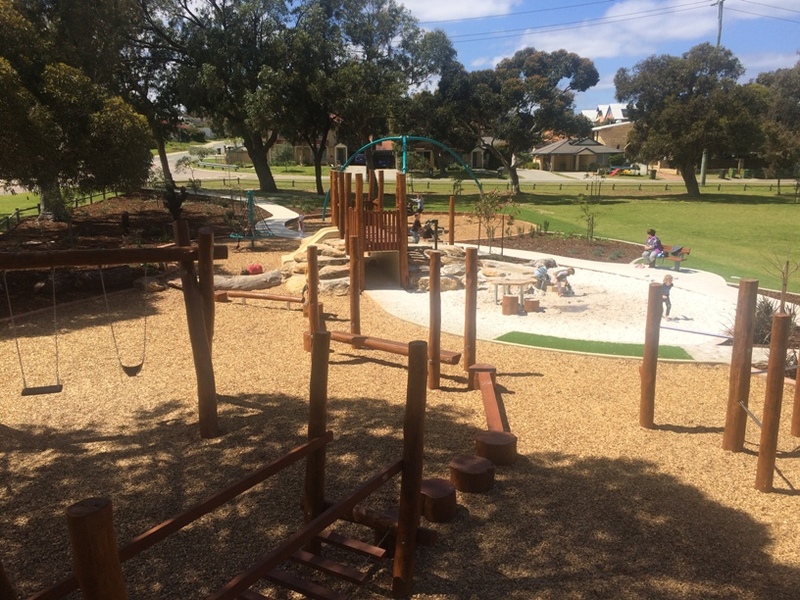 It's completely surrounded by bushland and features a great wooden playground, lots of balancing logs, sand play, BBQ's, regular playground, large grassed area and nice bush walks. Better know for its large traditional playground, but on the other side of the lake is this new nature based playground. So take a walk, ride or scooter around the lake and check it out! 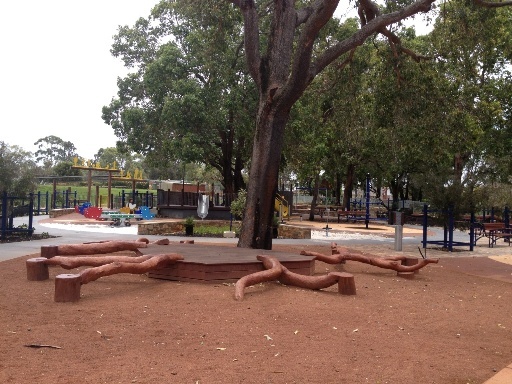 Absolutely beautiful new nature based playground. 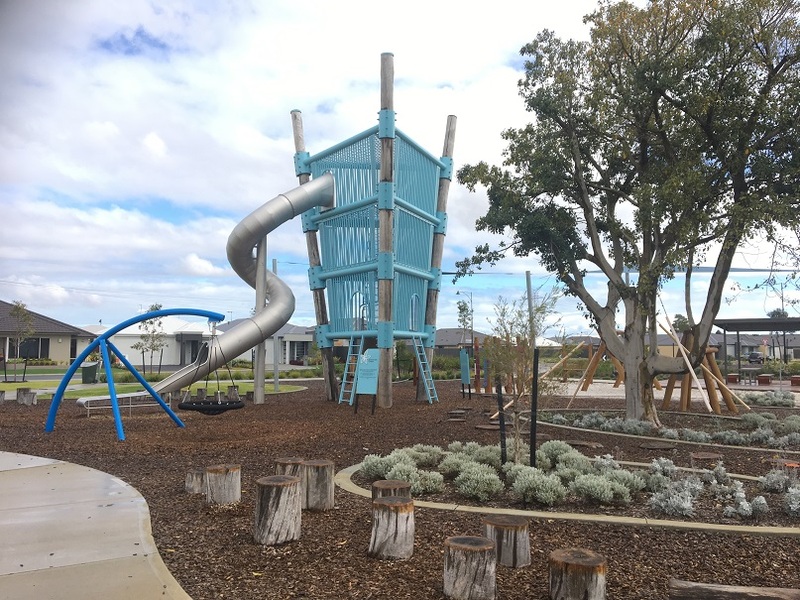 Great natural shade, wooden play structure, water play feature, and fantastic wide slide with small nature climb to the top. Lost of grassed area, picnic tables and BBQs so great place to spend the day. 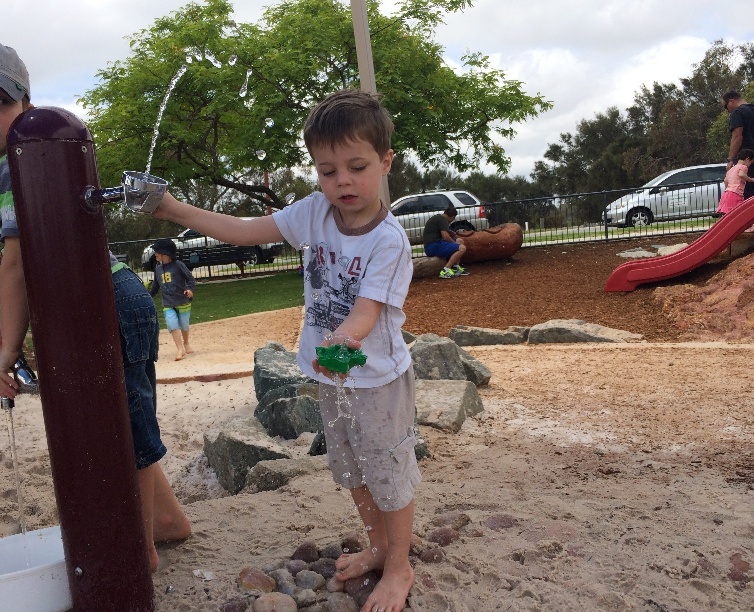 Beautiful park for kids under 6 with nature based play including a great little water play feature - take your spare clothes along. 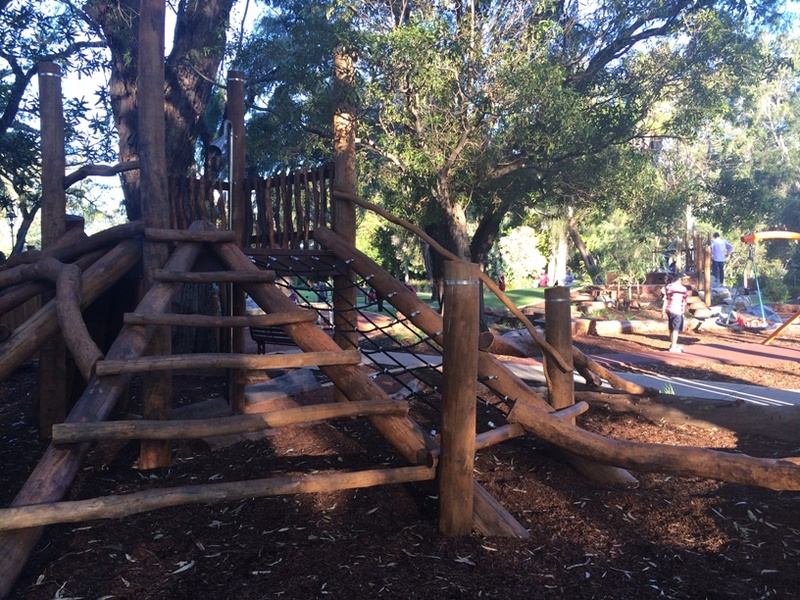 Shady nature based play and an awesome single cable flying fox at this beautiful park that overlooks the Swan River. 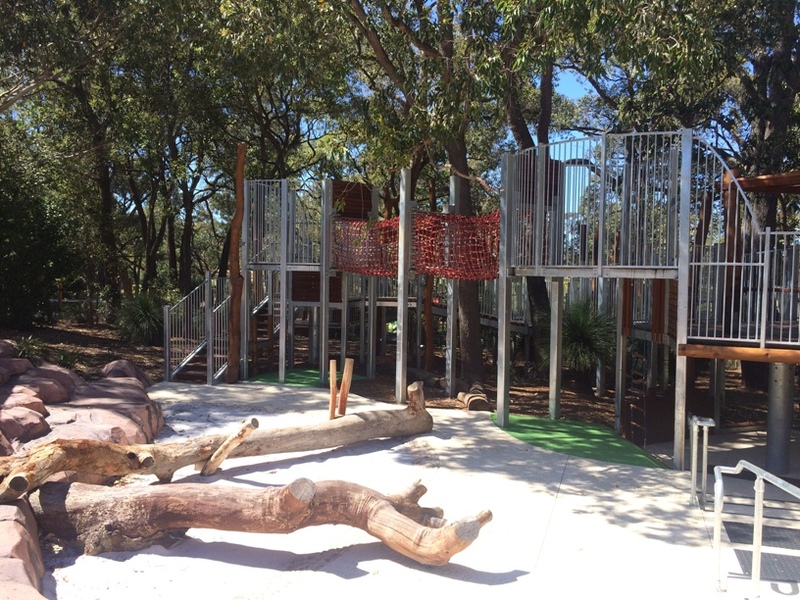 Nature based play in a beautiful natural setting alongside Bannister Creek, with flying fox. 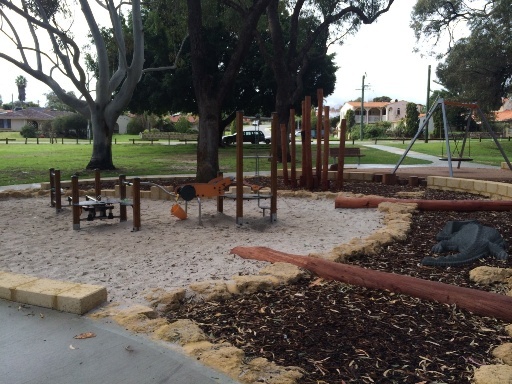 Small suburban playground with wooden play structure, balance logs and sand play in beautifully shaded park. 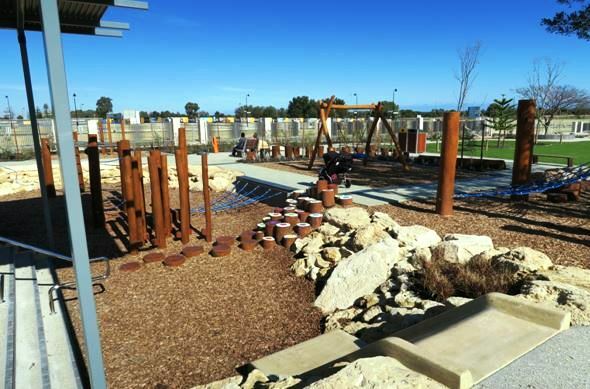 Nature and adventure based play park, redeveloped in early 2016 with lots of sculptures around the park to explore. 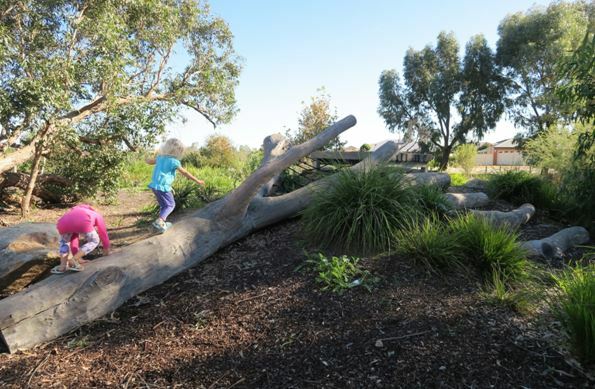 What's a big adventure playground without nature play. 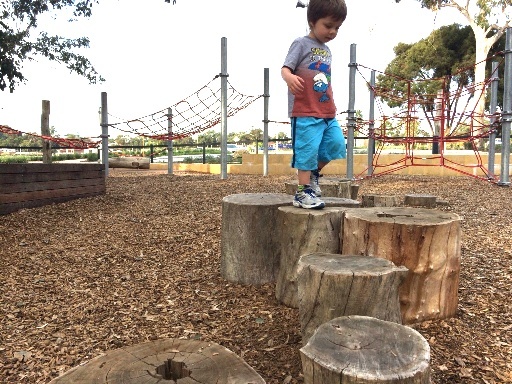 Find balancing logs at this massive estate playground plus water play in the warmer months. 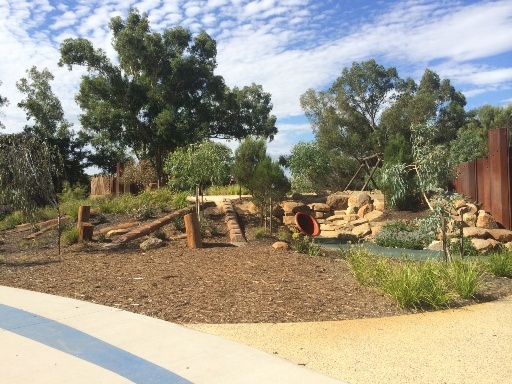 24 hectares of community facitilies including nature based / adventure playground, water play, nature board walks, flying fox, skate park and more! 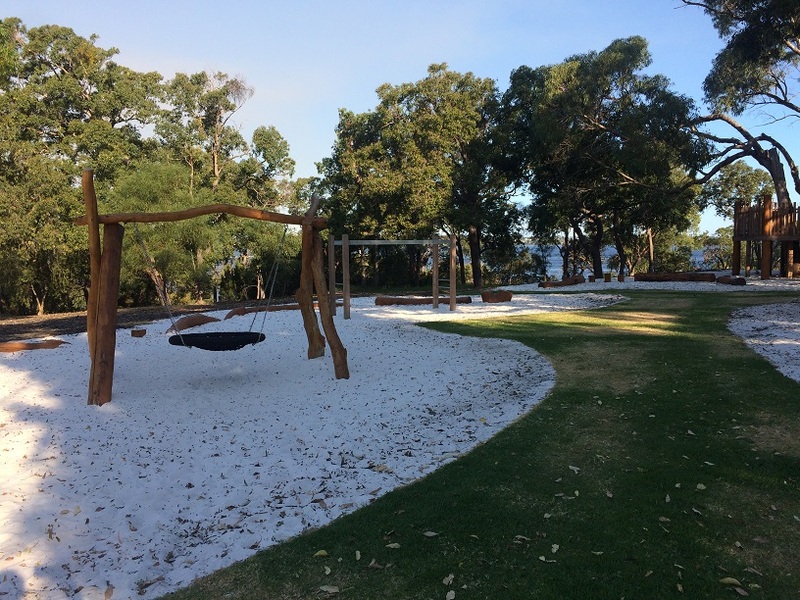 The nature based play area is just one of three play areas at this park. 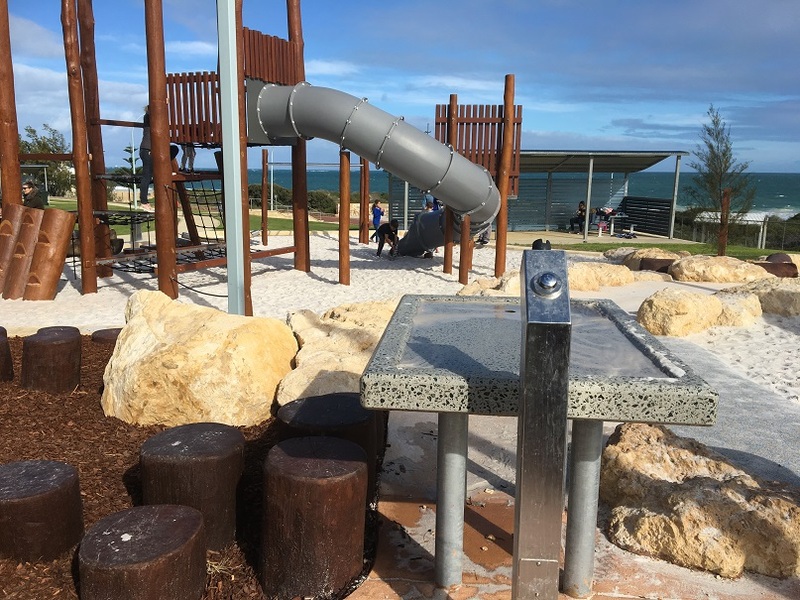 Includes water play feature. 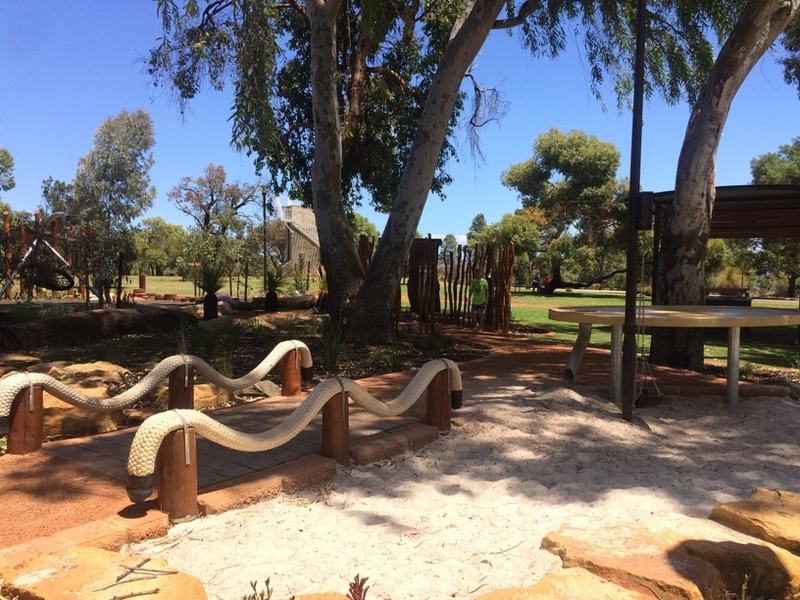 Nature based and adventure play in the semi bushlands setting. 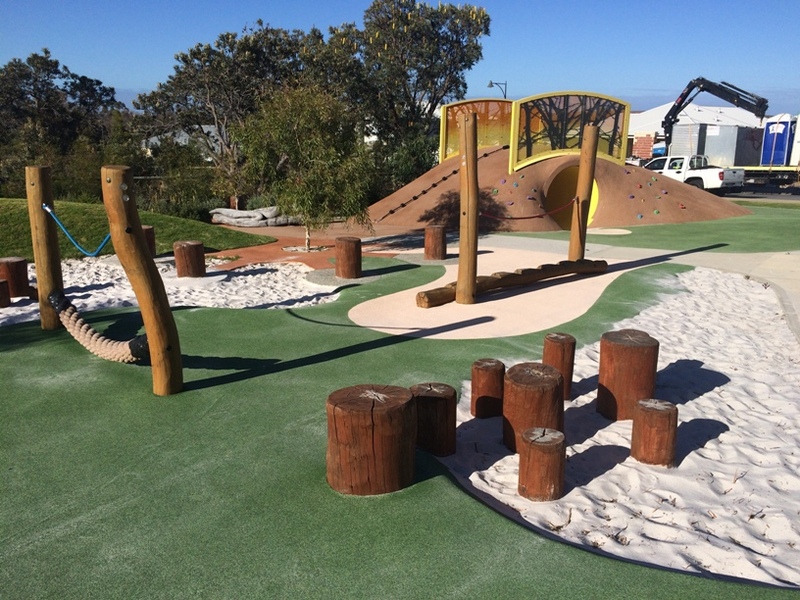 Shoreline Park North Coogee in the new Shoreline development is a great place for families to play and enjoy together. 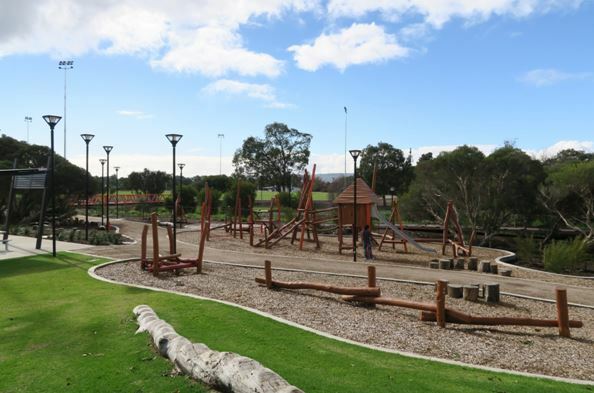 It features a small nature playground, lots of grassed open space, exercise equipment, a basketball court and a table tennis table. 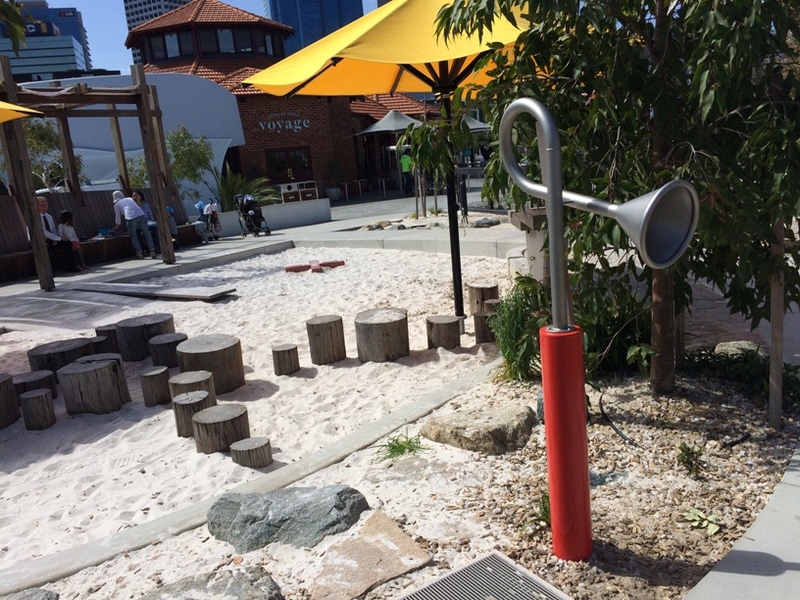 This small inner city playground has it all. 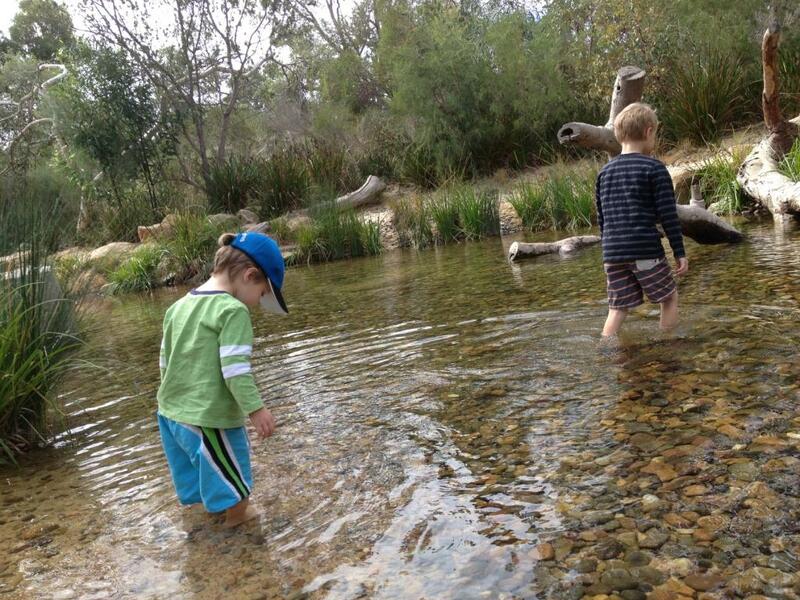 Adventure, nature based, sensory and water play. 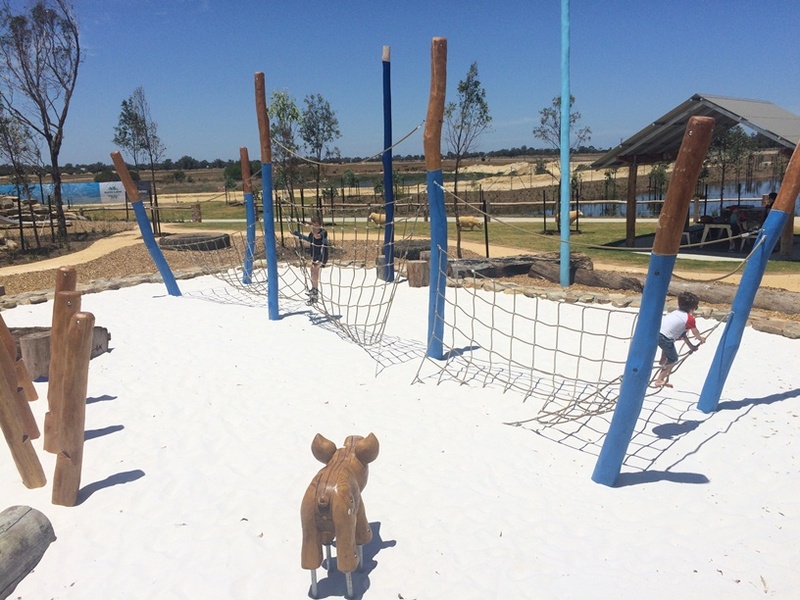 Massive fully fenced adventure playground with splash pad, flying fox, tree walk, nature based play and lots more. 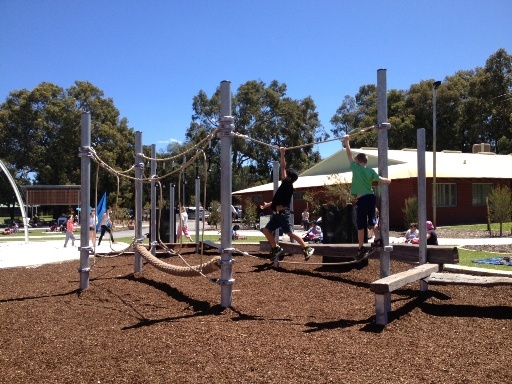 This playground is designed for all ages and all abilities to enjoy. 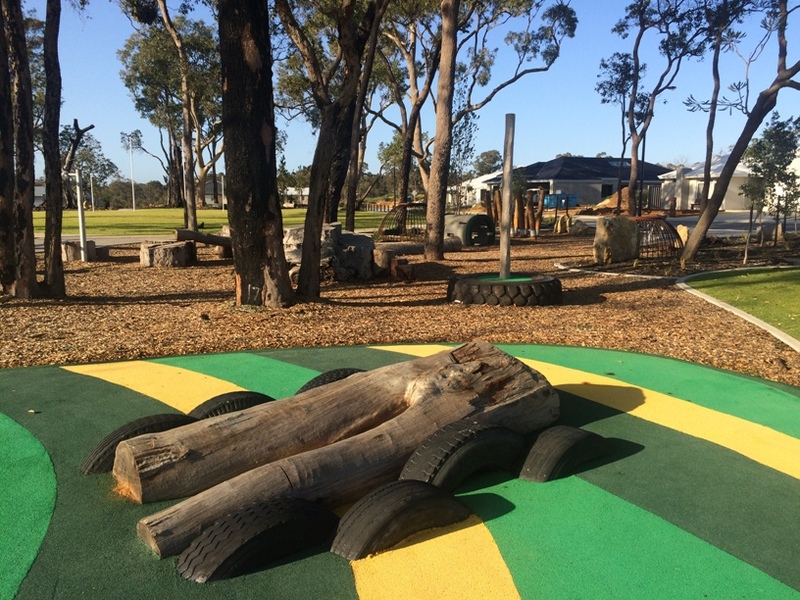 Small but packed with features playground that includes log stepping stones, long balance, rocks to climb, flying fox, scooter track, trampolines and more. 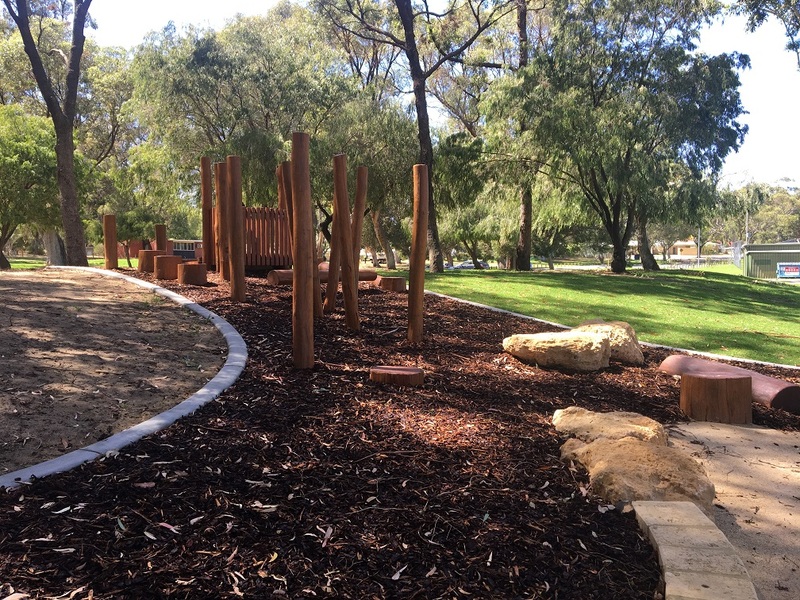 This park is rich with communications history, culture, nature and wildlife and includes a nature playground that was opened in Jan 2017. 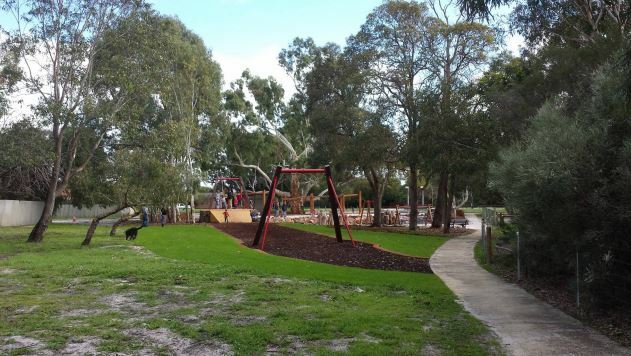 Opened in June 2017, beautiful little nature based play park under a few large, old trees that are perfect for some tree climbing. 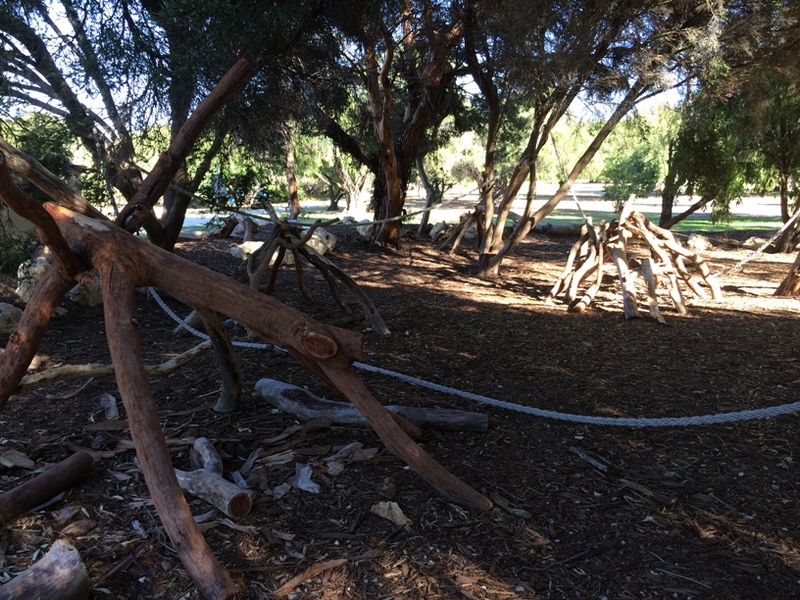 A good nature play space for the younger ones. 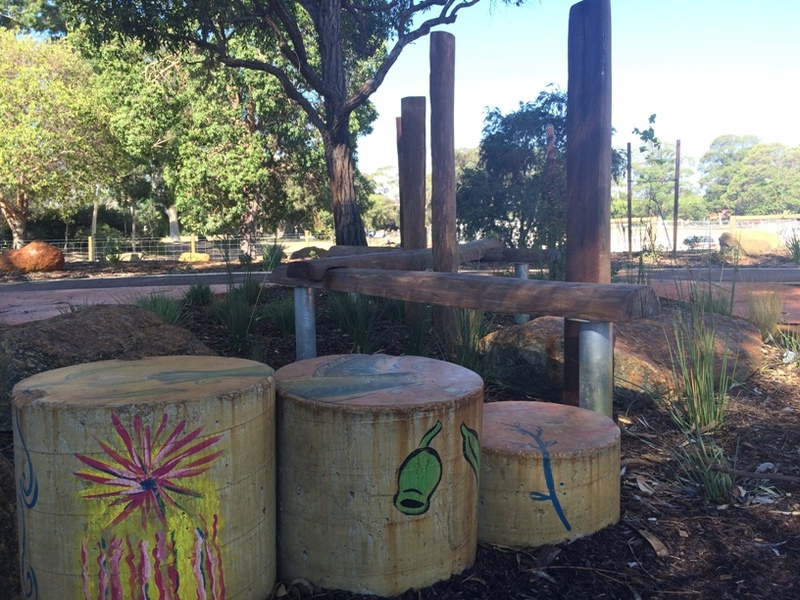 Delightful little nature based playground behind the Bayswater Library. 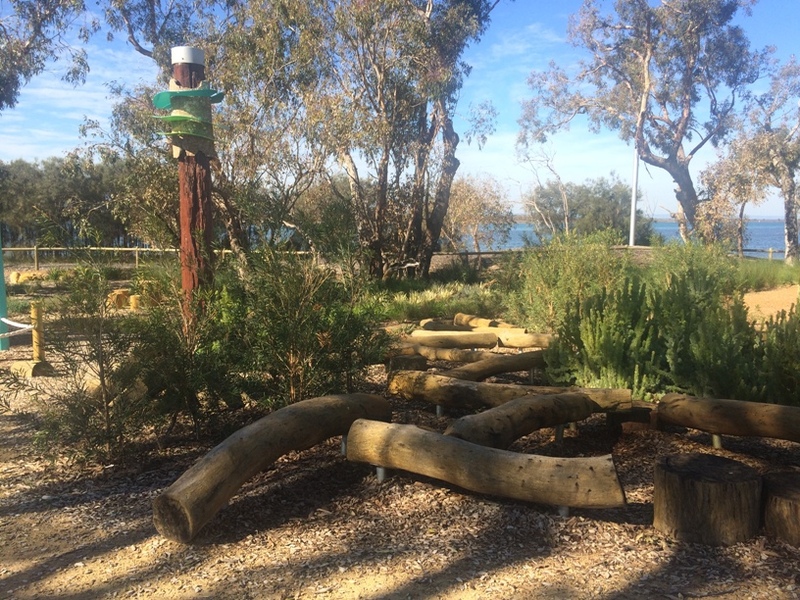 Naturebased playground with wooden balance logs and large log play feature alongside a beautiful lake. With large wooden fort, water play and lots of wooden balancing logs and rocks to climb, nature and adventure is the name of the game here. 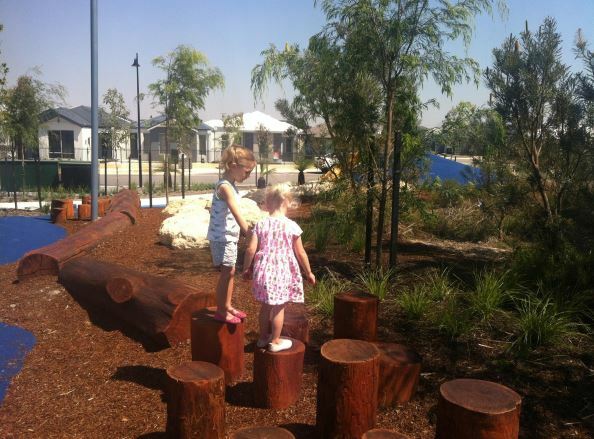 Mostly wooden play structures with rocks to climb, sand play, wooden log balance, water play and more. 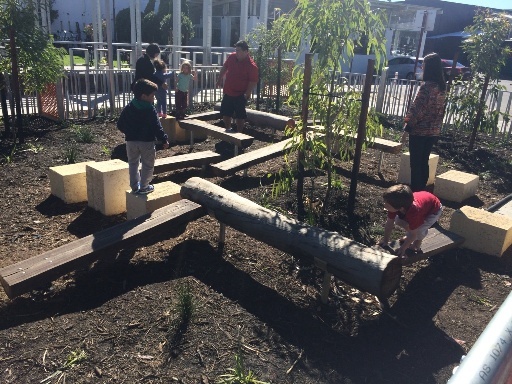 Nature based play and use of recycled materials to create play features. Double cable flying fox too. 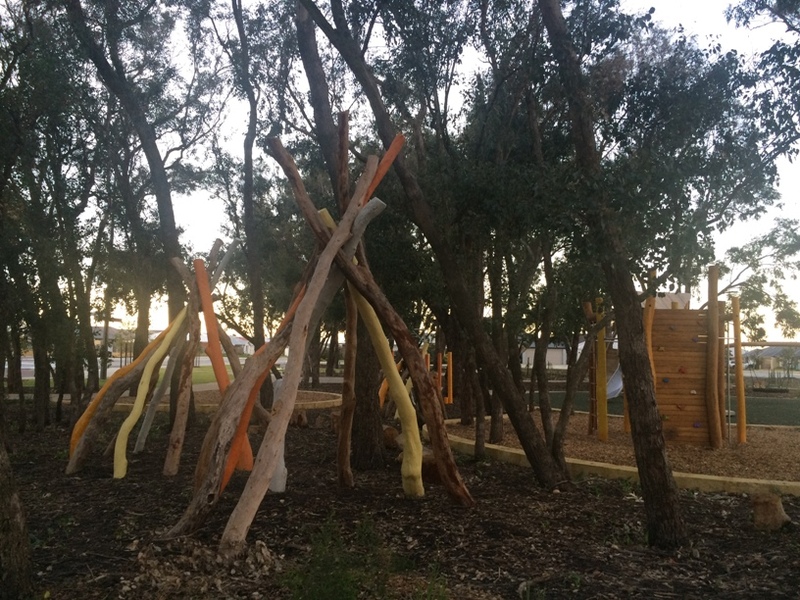 Naturebased playground with big wooden fort overlooking the Swan River and located within the Sunset Heritage Precinct. 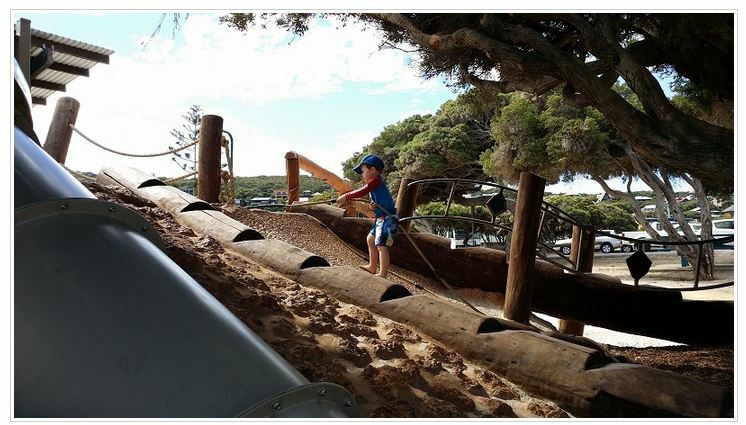 If you are down Margaret River way you must pop into the Yallingup Maze Cafe and enjoy a play at this amazing nature playground while you are there. There are logs to jump to and from and balance from, a rope swing and a large branch to climb up and over. 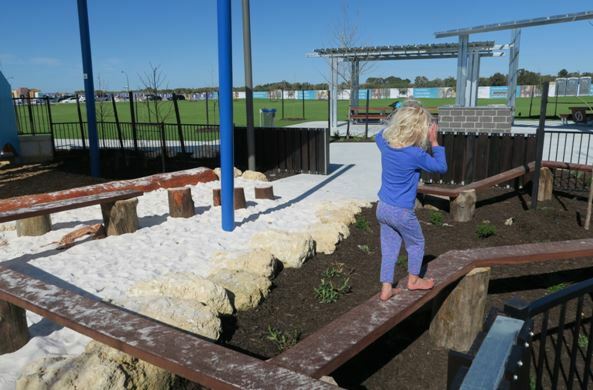 You can access the nature playground for free - but consider a donation to Regional Kids in the cafe area. 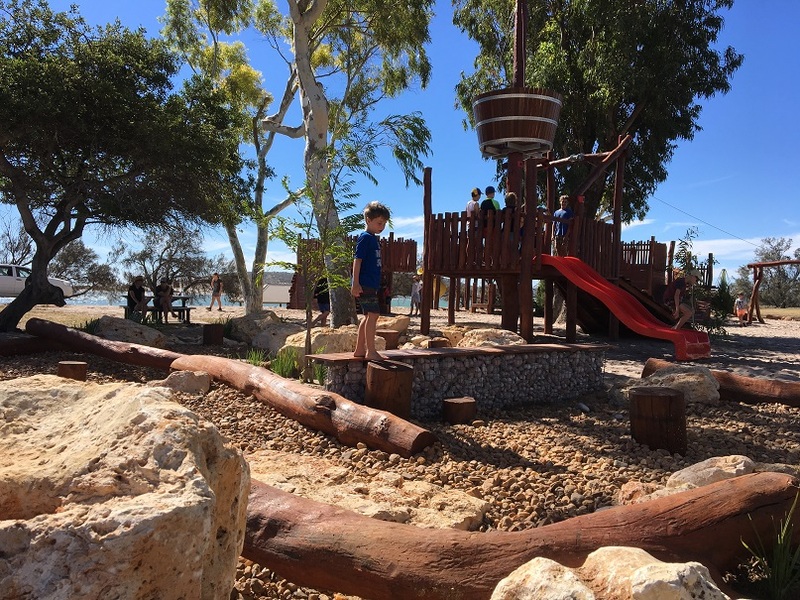 Play alongside the Murchison River at the Kalbarri Nature Playground located on the Kalbarri Foreshore. We hope you and your kids enjoy getting back to some simple play all year round! We know many of these are North of the River, so we'd love to hear from people with some playgrounds that feature nature play South of the River or if there are any others we have missed, just contact us if you have any info.